Frequency modulation synthesis is capable of creating a broad, detailed, highly nuanced range of tones which can be controlled with a fine level of detail. The technique starts with a simple wave—usually a sine wave—which is then modulated (or if you prefer, distorted) by another wave (usually another sine wave). The interaction between the two (or more) waves creates and shapes the sound over time. FM synthesis offers an infinite range of possibilities and permutations: it is this range of choices which gives the broad array of tonal nuances that are available with FM. These different sonic characteristics make FM synthesis an ideal complement to work alongside analog sounds. 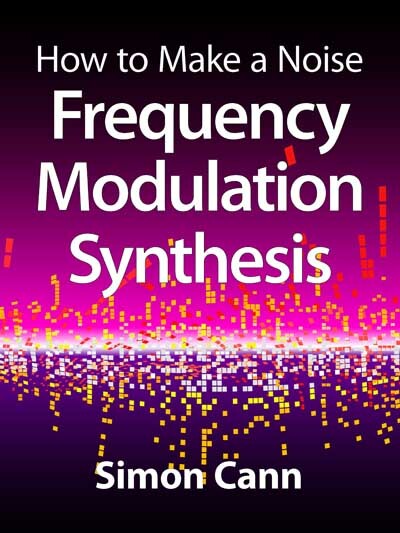 How to Make a Noise: Frequency Modulation Synthesis shows you how to create a broad, detailed, highly nuanced range of controllable tones. These principles can then be applied to any synthesizer with frequency modulation capabilities.